Hi everyone! Doodlebug Designs has teamed up with Becky Fleck and the Page Maps team this month to play with some of their new July sketches. 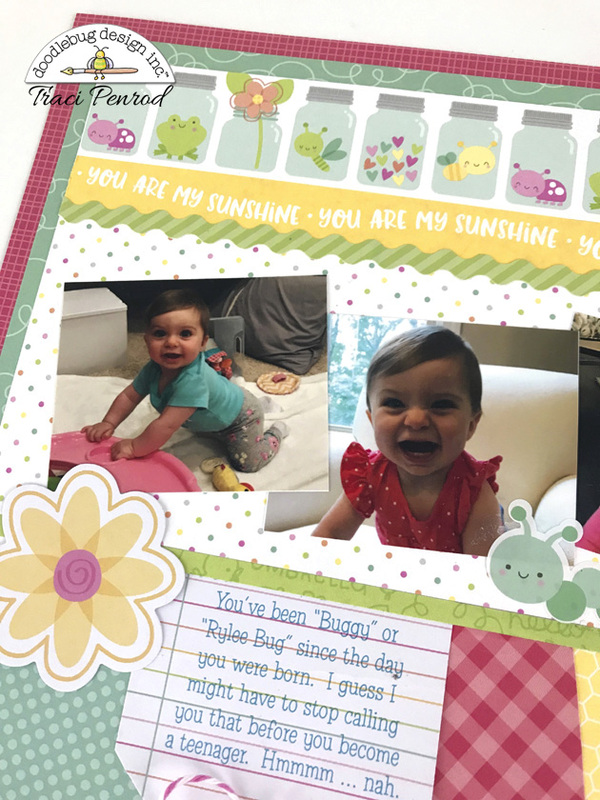 Becky sent me a great 8.5x11 layout with spots for three small photos ... perfect for pictures of my precious granddaughter! 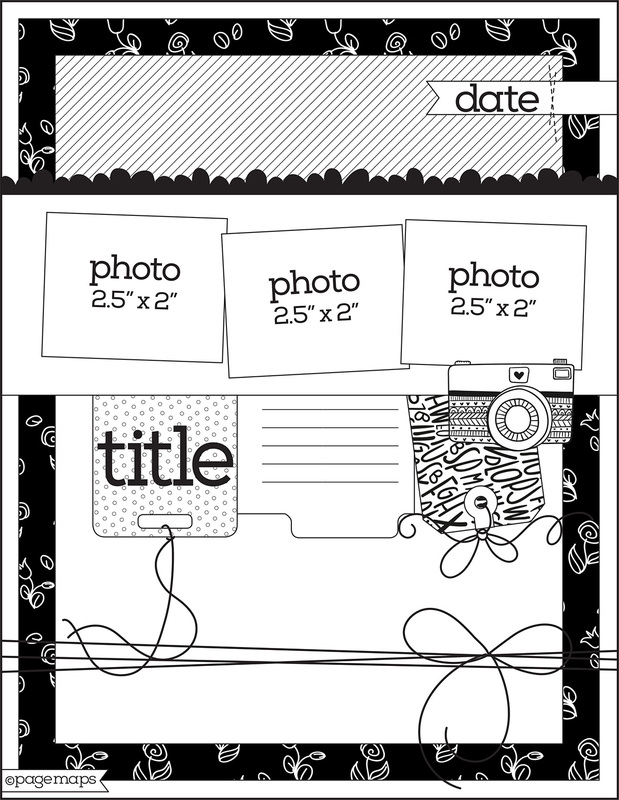 ... and here is my layout. 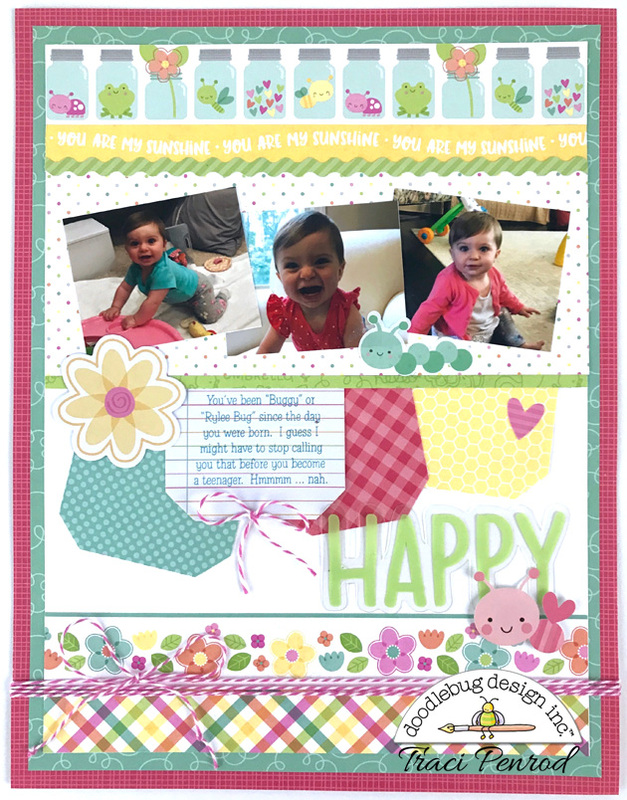 For this layout I used Doodlebug's Spring Things collection. 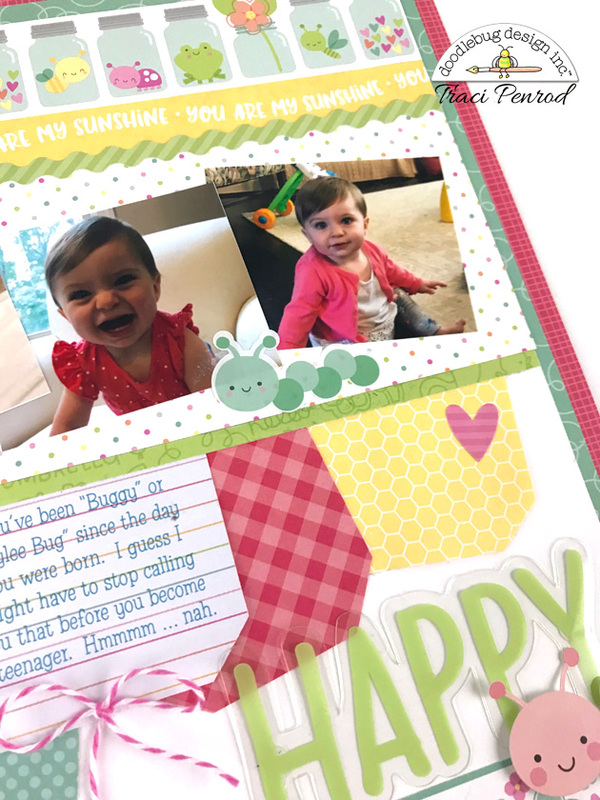 When my granddaughter was born last fall, I starting calling her "Buggy" or "Rylee Bug". Spring Things has lots of cute little bugs so it was perfect for these pictures. Rylee is, by far, the happiest baby I have ever met. She is always smiling and laughing. She truly has brought lots of sunshine to our family. In addition to Spring Things paper, I also used cherry paper from the gingham prints collection, bubblegum doodle twine, and lots of little Odds & Ends. If you haven't tried a sketch from PageMaps, you should! Even though you can easily change the design, the maps are fun to use as a starting point, or to copy exactly for quick inspiration. Have fun with them and thanks for stopping by today! I love the pops of color on the white background! And that sweet little face.... so cute!